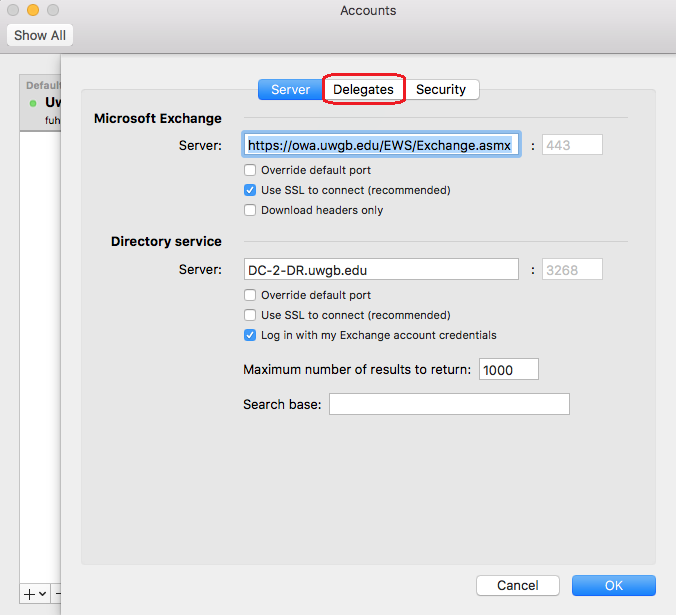 This document shows you how to open a shared mailbox in Outlook 2016 for Mac. The user must have been granted access to the shared mailbox via a Help Desk incident to System Admins before it can be added this way. 1. 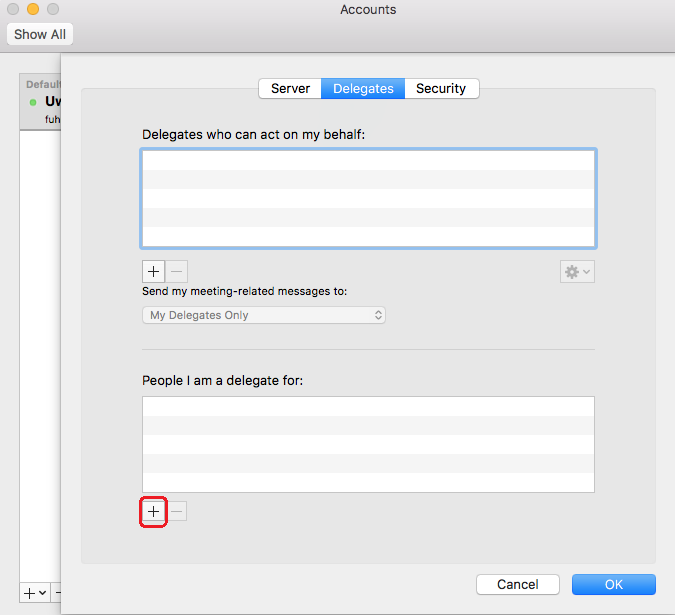 With Outlook open, click the Tools menu and select Accounts. 3. Click on the Delegates tab. 4. Click the plus [+] button under "People I am a delegate for." 5) Type in the name of the shared mailbox to add it. Click OK when done. 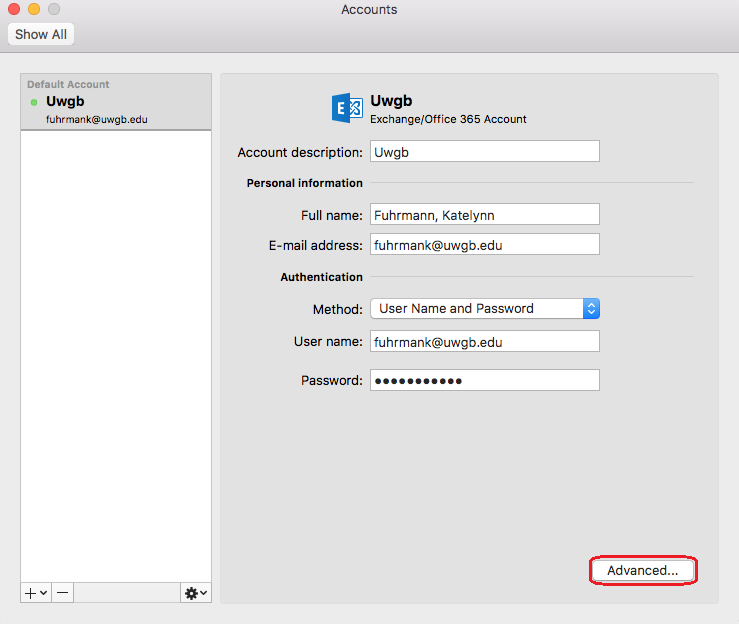 Click the red circle in the upper left to close the remaining Account windows that are open.